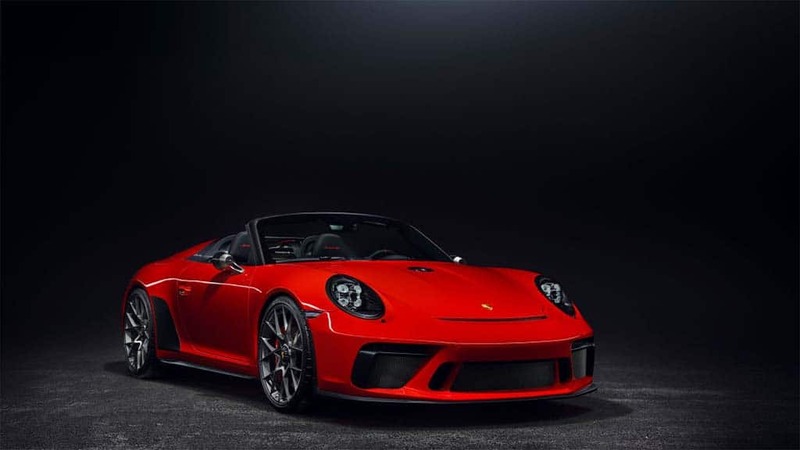 Despite a price tag of $274,500 – not including the $1,250 delivery charges – the 2019 Porsche 911 Speedster is expected to sell out relatively quickly. 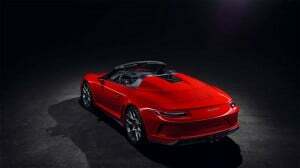 The new convertible picks up on some of the cues that entranced fans of earlier Speedsters, with a low-cut windshield and side windows, a six-speed manual transmission and a focus on holding down weight. It tips the scales at a modest 3,230 pounds, nearly 200 pounds less than even a base 911, and only slightly more than the latest-generation GT3. The new Speedster borrows plenty of styling cues from the original, such as the shorter windshield. To fully “lightweight” the new model, Porsche engineers have trimmed off all sorts of unnecessary features, replacing inside door handles with pulls, opting for storage nets, instead of door pockets, and adding a number of carbon fiber touches, including the hood, front fenders and decklid. Even the decision to go with a stick shift was seen through the eyes of weight savings – the gearbox coming in about nine pounds lighter than the automatic transmission alternative. Beyond the steeply raked windshield, the most obvious design element of the new Speedster comes in the form of the two, very retro “Streamliner” headrests that are also made of carbon fiber. 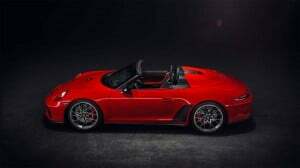 The new Speedster is based on a chassis derived from the GT3, in fact, one that uses such touches as dynamic engine mounts and a rear-axle steering system to enhance “precision, stability and driving pleasure,” Porsche said in a statement. The new 911 Speedster hits 0-to-60 mph in 3.8 seconds with a top speed of 192 mph. Of course, the heart of the beast is its 4.0-liter flat-six engine. Lifted out of the GT3, it punches out 502 hp and 346 lb-ft of torque. Oh, and if you are wondering why the German automaker plans to build just 1,948 of the new Speedsters, that’s meant to recall the original Porsche 356 Speedster that was introduced in 1948. Porsche plans to begin taking orders for the Speedster this week, with deliveries set to begin next autumn. Oh, and if you haven’t completely wiped out your bank account, you can drop another few thousand for the limited-edition 911 Speedster Chronograph which was developed in-house. Fittingly, it features a carbon fiber dial and a rotor modeled after the Speedster’s center lock wheel. This entry was posted on Wednesday, April 17th, 2019 at and is filed under Asia Pacific, Auto Shows, Automakers, Automobiles, Business, China, Coupes, Europe, Events, Markets, NAFTA, New York, Porsche, Product Reveals, Sales, Sales, South America, Sports Cars, U.S./North America. You can follow any responses to this entry through the RSS 2.0 feed. You can leave a response, or trackback from your own site.